When is enough, enough when it comes to culling animals? One of the issues with culling animals is that, once started, it becomes a permanent practice. I have just been reading about a cull of wild animals in the Forest of Dean. The beasts concerned are not, as might be expected in Gloucestershire, badgers, nor deer (although both are frequently targeted) but wild boar. There are, apparently, too many of them. The highest estimate is that there are about 1500 in the forest, and someone has decided that nearer 400 is the ‘right’ number. There was a time when wild boar roamed throughout the land, they were just there, and were never counted. One of the issues with culling animals in this way is that, once started, it becomes a permanent practice. 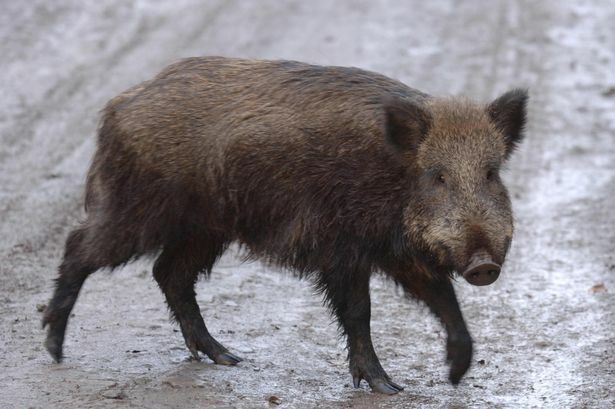 The boar in the forest produce more young in a year than their continental counterparts. There are probably two reasons for this: one is that they are descended from farmed stock, which was probably bred for larger litters, the other is that they are living in what was a boar-free landscape. When their numbers reach a certain level then the size of their litters will most likely reduce accordingly – nature abhors a vacuum! Culling them prevents this situation being reached. The boar exemplify one of the anomalies in people’s attitudes to wildlife. Most people will say that they like wildlife, and millions support nature conservation organisations like the Wildlife Trusts. There are many projects to help rare and declining species, but there is much more ambivalence towards successful ones. It is often said, for example, that there are ‘too many’ badgers, magpies and grey squirrels. I have never known what ‘too many’ means. Too much damage being done perhaps, or, in the case of predators, eating too much other wildlife? One thing we have forgotten is just how much wildlife in general has declined in recent centuries. Our ancestors lived cheek by jowl with not just more species, but with what we would consider huge numbers of individuals of those species. Of course, nuisance and damage has to be addressed, whether caused by rare or common species. Lethal control is almost never the answer where populations are concerned though, it only really works for rogue individual large animals. Nature conservation should not be a numbers game, it should be about enabling the richest diversity of plants, animals and habitats to thrive as possible. Trying to control numbers turns it into a sort of farming.